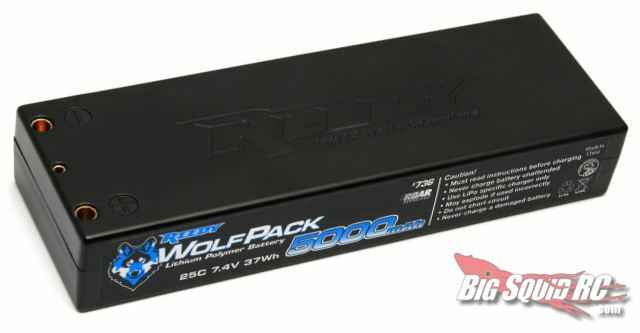 New member of the Reedy WolfPack « Big Squid RC – RC Car and Truck News, Reviews, Videos, and More! A new battery has joined the Reedy WolfPack. This new hard-cased lipo specs in at 5000 mAh, 7.4v, 25C constant with a 50C burst capability. It’s got low resistance 4mm bullet connectors and is ROAR approved for competition. I really don’t know what else to say. But I need at least 45 more words to make this post look complete. I guess you guys will have to make do with 85 words instead of 100. It’s available now with a MSRP of $83.99. Check out the Reedy website for more info.